A sweet and spicy hamburger that’s flavourful and stays moist. I know purists prefer to make their burgers with just salt and pepper, and may be an egg yolk to help bind it together but my kids and I prefer burgers that are tender and well-seasoned. Well, my kids will really eat any kind of burger, but since I’m the one making them I create them according to my preferences, which means in our house we eat sweet and spicy hamburgers. Burgers are a treat in our house and when I buy ground beef I buy extra lean. 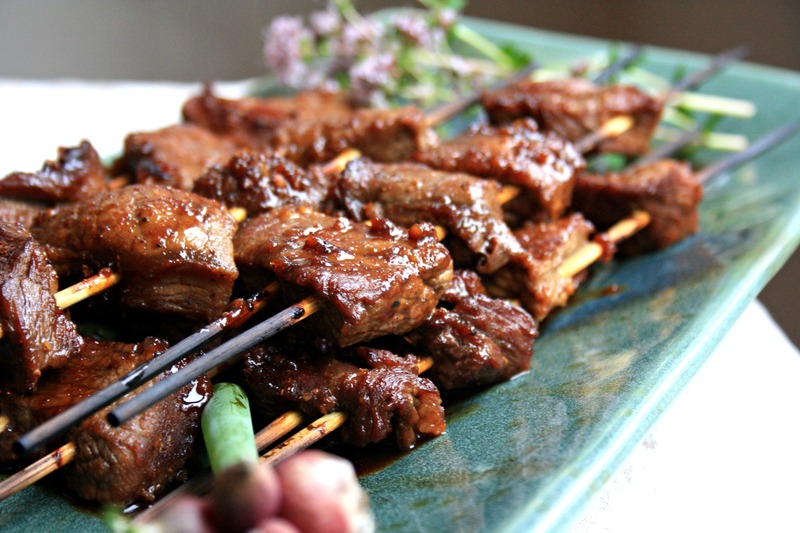 Since I’m no barbecue pro, extra lean beef can dry out on me, which is why I love this recipe. 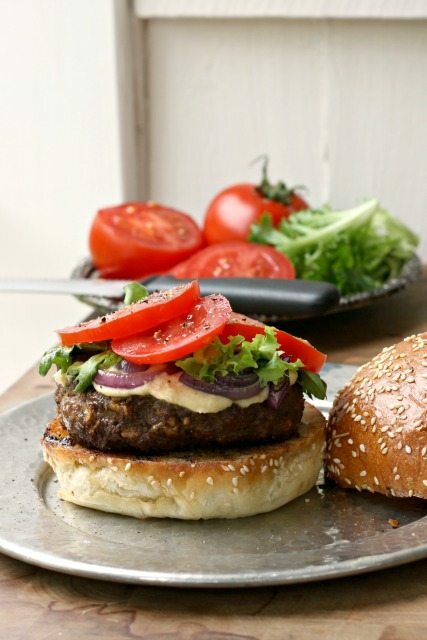 A good spicy salsa and a little molasses keep the burgers moist and the Worcestershire sauce adds extra flavour and a salty taste without much salt. 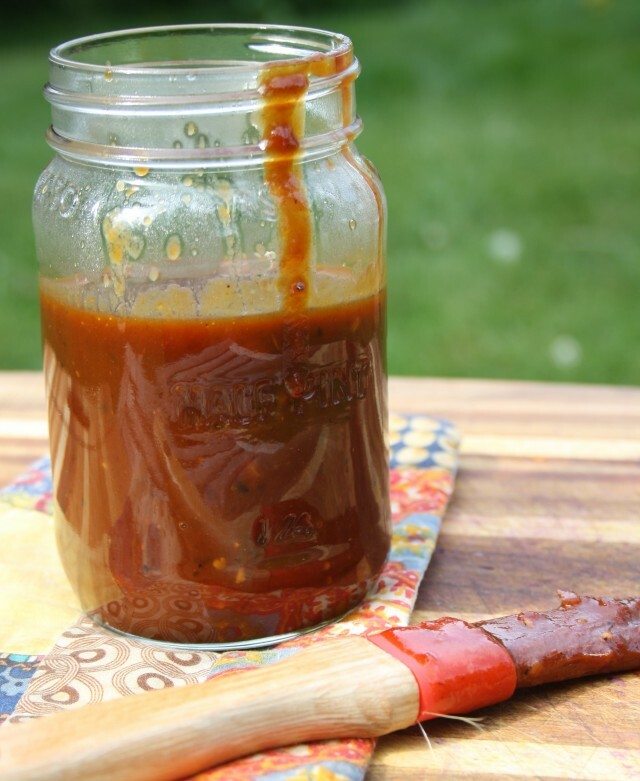 Brush these with our Sweet Chili Barbecue Sauce during the last few minutes of grilling. This burger was inspired by the blog Jo and Sue. 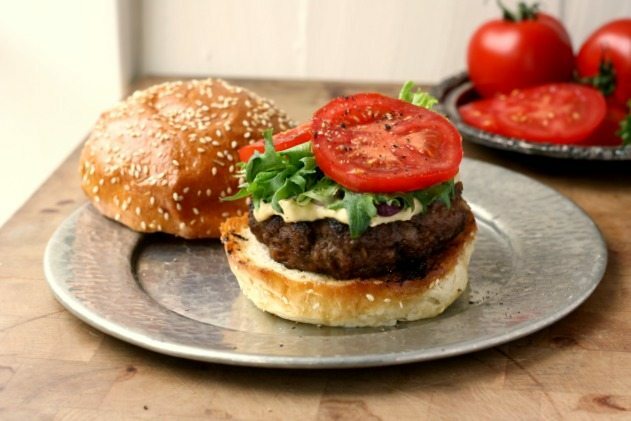 They entered a burger with molasses in a recipe contest we held last summer. In a saucepan over medium heat, warm the oil until it shimmers then add the onion & salsa. Saute until the onion starts to brown then remove from heat and scrape into a bowl. Whisk in molasses, Worcestershire sauce, salt and pepper. Crumble over the beef and gently combine without overmixing. Form into 4 patties, about ¾” thick. Grill the burgers, turning once, until an instant-read thermometer inserted in the center registers 165°F, 4 to 5 minutes per side. This looks like a completely different burger. For sure going to try this one. Hi Randolph. hope you enjoy! 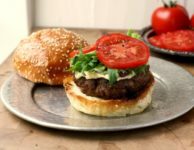 I have made this burger several times and I love the recipe. I use ketchup and Worcestershire sauce when I make mine. I live in the US and do not have Crosby’s Fancy molasses where I shop so I use light molasses. Hi Lynne, Thanks for letting me know you love the Mo Burger. It’s wonderful to get feedback on our recipes.